I’m going to take a wild guess about what you’ve been up to lately. Call me psychic, but I’m guessing you’ve been angling for budget over the last few months. I’ll go a step farther and predict that in doing so, you only shared your successes. The programs and campaigns that didn’t work, the spending that didn’t quite pay off—those probably went unmentioned. Okay, I’m not really psychic. I just know that end of year is when many marketers ask for a budget for the year ahead. I also know that marketers love to highlight their achievements (who doesn’t?) and ignore everything else. That might seem like a successful strategy in the short run—hey, if you got your budget, you did good, right? But that approach can actually hurt you in the long run. Here’s why. Too many marketing departments launch campaigns in a vacuum. They meet their quota, congratulate themselves, and raise the quota for next time. What they don’t do? Look at the conversion rate. They don’t gain any insight into what drove their successes and failures, or how they can optimize future efforts. And so they ignore the wave of leads who didn’t convert. The programs that crashed and burned. All that wasted time and budget. This is what separates good marketers from the mediocre: They do the strategy, planning, and execution that get great results. That includes getting honest about their mistakes—scrutinizing their failures and modifying as necessary. Is it fun? Not usually. But does it drive excellence and ROI? Yes, it does. Unquestionably. This is probably a good place to point out that everyone fails, by the way. All of us, sooner or later. Sometimes that failure is subtle, as when a team focuses only on new net leads and passes the sales team a truckload of unqualified leads. Sometimes failure feels more obvious, like when a splashy big budget campaign falls on its face. Regardless of what shape failure takes, what matters is having the bravery to face it, learn from it, and the integrity to fix it. That way you’ll know what budget you really need, and how you can allocate it for maximum return. When one of your initiatives doesn’t go as planned, the worst thing you can do is kick sand over it. Instead, you need to find the underlying dynamic. By illuminating shortcomings, you can request budget to correct them. 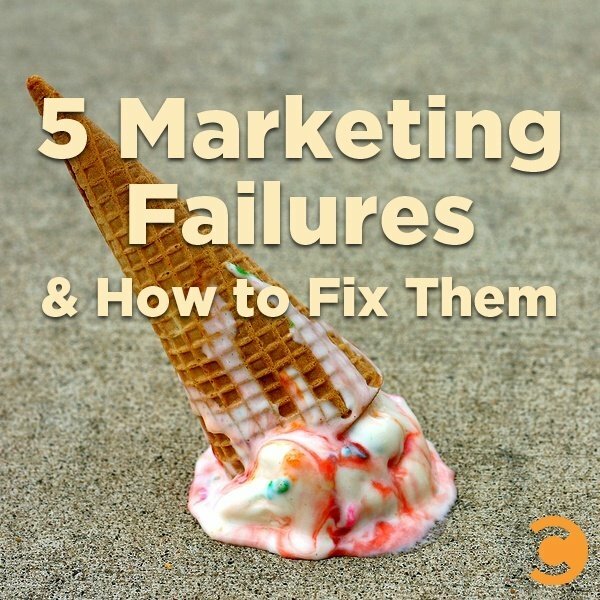 Consider the following problems that tend to plague marketers. Your lead quality needs to increase. Forget about your conversions for a second, and look at those other people you got in the door. What’s your plan for them? Obviously, you don’t want to inflict their unqualified selves on sales, so it’s time to develop good nurturing programs. Yes, they take some thought, and they’ll need to be reevaluated and adjusted as time goes on. But they’re worth it because they gradually warm up cooler leads, turning them into qualified prospects. Your lead scoring is inaccurate. A lot of so-called common wisdom about lead behavior has been disproven. So if you’re still assuming that webinar attendance signals a future buyer, you may want to revamp your scoring process. Ask sales about the prospects they work with. What traits and behaviors are more likely to lead to a sale? What sources seems to supply the most interested leads? The idea is to find patterns in successful conversions. You’re not doing the math. Maybe numbers aren’t really your thing, but there comes a time when you have to buckle down and figure out the facts. How are your efforts being attributed? Which campaigns had the most interest and conversion to revenue? These are the results that will help you determine how many MQLs you need to convert at a higher percentage. Your buyer personas are outdated. It’s time to be brutally honest: If your buyer personas are a function of role or job title you are living in the dark ages. Are you designing your sales and marketing strategies with the buyers psychology in mind? It’s also important to keep personas fresh; don’t make the mistake of assuming today’s buyers are your 2013 buyers. You may be selling to a new demographic these days—buyers further along the maturity curve or answering an unexpected need. Dig into your buyers and prospects at least twice per year, and make sure you understand exactly who you should be targeting. A clever tagline and pretty design don’t go as far as they used to. Your leads and customers are experts by now at ignoring marketing messages. What does get and hold attention? Relevance. The more your campaigns resonate on an individual level, the higher your conversion rate will go. Have I convinced you yet to get honest about your shortcomings? I hope so. Remember, you can’t fix what isn’t working until you admit it—and request the budget to get the right improvements in place.